Stacy has been climbing and leading expeditions for more than 22 years in remote regions throughout the world including Russia, Tibet and Pakistan. 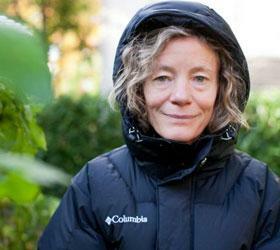 She is best known as the first American woman to summit Mt. Everest. Her books, Beyond the Limits: A Woman's Triumph on Everest and Many Mountains to Climb: Reflections on Competence, Courage and Commitment, have been best-sellers and gained her a loyal following for her extraordinary experiences and knowledge. A successful entrepreneur, Stacy owns and operates Stacy Allison General Contracting, a residential building company. In the spirit of giving back to her community, Stacy also chairs the American Lung Association of Oregon's largest fundraiser, Reach the Summit, and serves on the Board of Trustees of National University. It’s true for any team project-cooperation works! More than an idea, teamwork is essential for your organization’s success and survival. Learn how to create a team environment that will improve the quality of life and level of performance for you, your co-workers and your organization’s bottom line. Mt. Everest is one of the most unforgiving environments on Earth and decisions don’t get much starker. That’s why mountains, though seemingly a planet apart from the world of business, are a rich source of insights for associates, managers and executives alike. Running a successful organization is like climbing a mountain. Just like an expedition, you must forge an inspiring vision, build an accomplished team, overcome obstacles and stay focused, to consistently be your best and stay on top. Stacy combines her business acumen and her spirit for adventure to show her audiences how to thrive in their organizations through courage, leadership, vision, teamwork, risk taking, and personal accountability. Stacy’s high content, personalized, dynamic presentation will encourage and inspire you to take a visionary look at opportunities and move beyond your limits.